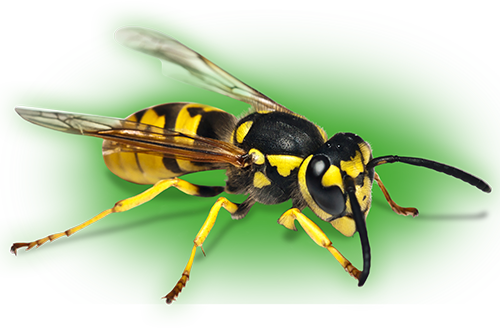 Based on the outskirts of Bournemouth with pest control technicians Southampton, London, Bristol, Portsmouth and Exeter, Rokill provides swift and effective response to all pest related issues. Our network of Service Technicians ensures that our domestic pest control customers get the same fast, reliable, effective service that our commercial clients enjoy. Our commitment to protecting the environment, and our outstanding safety record, means you can trust Rokill to deal with any problem, large or small. Our technicians are trained in the safe and effective use of professional pesticide products available to us. 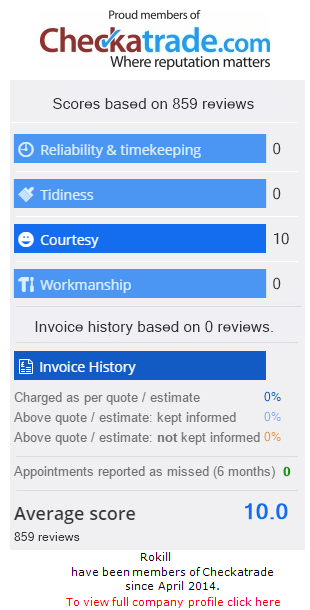 Choosing Rokill will give you peace of mind that you will have a qualified and reputable pest controller with over 30 years of experience and an excellent reputation for client satisfaction. Take charge of your insect infestations in your home! Make sure all doors to the outside are well sealed (a mouse will squeeze through gaps greater than 6mm in size). If you can see light from around or under a door, then insects can gain access into your home. Check for plumbing leaks, and seal off gaps around plumbing pipes behind work surfaces. Do not let water accumulate anywhere in or around your home. Check grout around bathtubs and toilets. A good seal will keep out small insects, such as silverfish and filter flies. Check the attic for water, unnecessary clutter and unscreened vents. Seal or remove cardboard boxes to prevent insects from nesting inside. If you have a pet, do not leave pet food out overnight. Seal around soffits and vents to make sure rodents and insects can’t get into the roof or attic space. Seal around wires and piping where it enters your house. Many insects and rodents follow power lines or climb wires and pipes to get inside. Remove all accumulated leaves and debris from rain gutters and the roof to prevent flies and other insects from breeding under the build-up. Check all gutters and drains to make sure that water is diverted away from your house. The base of each gutter should drain water away from the foundation to discourage moisture from building up next to your house. Keep rubbish bins clean and lids sealed to prevent ants, cockroaches and flies from feeding and breeding in the rubbish. Keep the garage door closed, and make sure the weather-stripping along the base of the door is in good repair. Prune any excess plants or trees touching your house, especially on eaves and the roof. -These create a direct access for insects or rodents into your house. Remove debris, clutter or woodpiles away from your home’s foundation. This discourages rodents from nesting or insect infestations around your home.